This year's deer season was extra exciting with the arrival of our new broadheads. We were anxious to get them into the hands of our family and friends and take them to the field. None of us here are marketers. We aren't "salesmen" as most people think of it. I have a hard time putting a spin on something or making large claims about a product. I don't like to be sold that way, and I don't like to sell that way. So, if you asked me how the broadheads did, I'd say that they performed like I would expect any good broadhead to perform. The bloodtrails were consistent with what I would expect from the shot placements. Some were absolutely humongous, and some were just average. No large bones were encountered upon entry. Ribs that were hit were splinted into many pieces. The big whitetail at the top of the page was killed by my cousin, Chad. 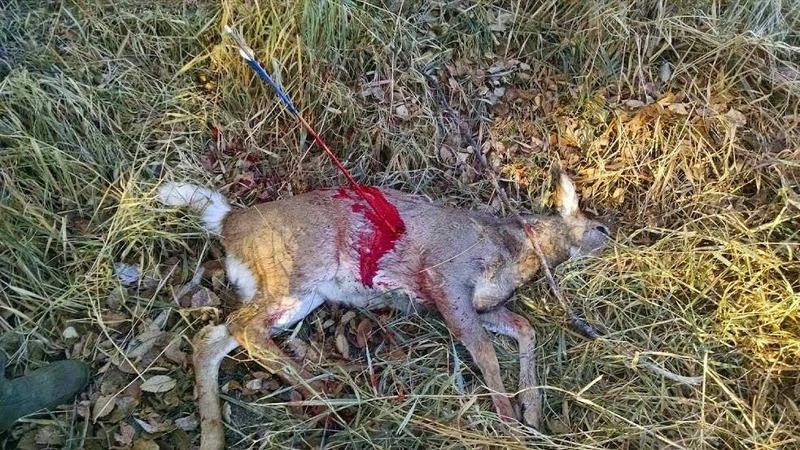 His arrow hit the deer's far leg bone, putting a hole in it and literally splitting the bone vertically. We are going to beef up the tips. They are too thin for our liking. Once we are happy with every aspect of the broadhead design, we'll start to market them a lot harder. For our initial roll-out though, we remain as excited as ever. There are no solid piece options on the market in single bevel (at a decent price), and none in a glue-on option. In a market where everything under the sun has been tried, thought of, produced, marketed and sold, this one design was missing. It's the simplest design, the most obvious. Isn't the simplest option usually the best option? One piece. Single bevel. It doesn't get any simpler. It doesn't get any tougher. Brock and I each killed a doe, Brock used the 160gr glue-on head, with a 125gr steel broadhead adapter. Brock has become a heck of a shot, and when this doe stepped into his opening at 28 yards, Brock's arrow struck her right behind the elbow. I also killed a doe, but I used the 200gr screw-in. I took a 30 yard shot. The doe ran into the creek you can see in the picture but never made it up the far bank. She died in the creek, five yards from where I shot her. As much as I enjoy whitetail hunting, neither Brock or I took a single step towards those animals. Ground hunting is where my heart lies, pursuing an animal, stalking it, or calling to it. I went out with Brock to look at a nice muley buck that he had spotted. Brock and I watched this buck chase a doe all morning. They covered some ground before they finally found their afternoon resting place. We watched them bed down in a patch of tall weeds. Brock knew the land owner, so I sat behind the spotting scope and kept an eye on the deer while Brock found the rancher and got permission to stalk this buck. Brock filmed his good friend kill a 200" muley in this same pasture last year, so even though he knew it would be okay, he asked anyway. The adjoining property was standing corn. As Brock was sneaking towards the buck, four whitetail does came barreling out of the corn field a half mile away. The buck was bedded at the far right hand side of this picture. My heart rate started to increase when these deer came running by. Brock was barely in shooting position, and I worried the muley would spook. He never stood up though. Four hours into the stalk, the wind almost picked up a little bit. Brock took off his shoes and started inching his way through the weeds. He could hear the buck's antlers hitting the dry weeds, so he had a good idea where the buck was, but he had no idea where the doe was laying. My heart was absolutely racing. I was watching the events through a spotting scope from a few hundred yards away. I could see Brock come to full draw, but I was too far to see a release or the arrow in flight. I could tell by the deer's reaction that Brock had shot. I stared hard at the buck looking for any sign that he had been hit. He ran fifty yards or so before stopping. Even from my distance, I could see red blood flowing from his side, low and tight to the front leg. I snapped this picture moments after the shot. You can see Brock in the weeds, the doe on the left, and the buck, just before expiring, on the right. Brock's arrow passed through the deer like a hot knife through butter. Usually dirt on my own broadhead is a bad sign, but when you shoot as well as Brock, they always get dirt on them! Blood gushed from the low hit. The buck, as he lay. Brock shot his deer with a Hawk recurve, 47@28, 62". He was using Victory HV arrows and a Cutthroat Broadhead. The bloodtrail was profuse! I had some of the best whitetail deer hunting action I have ever experienced. The wind, my eternal enemy, really played with my emotions on this trip. I was not where I knew I needed to be. I watched four tremendous bucks walk down a ditch between corn fields in their search for does. They all passed by the same tree, the one that held my stand. The one the wind never allowed me to use because I wasn't willing to take the chance of alerting them to my presence. I ended up having two giant bucks cruise past me, barely out of range, and drew my bow on a spot and stalk, but that was it. They eluded me this year...but not without a couple memories and experiences that will be with me forever. This great buck passed me at 45 yards, a shot I will not take. I've only gotten out of my treestand twice in my life, both times due to weather. With 40mph wind gusts and temperatures in the single digits, I didn't want to sit in a swaying tree. I thought my chances would be better trying to sneak up on a buck, so I got down and walked to the truck. Brock and I spotted a great whitetail bedded with a doe in the middle of a pasture, in a perfect spot to sneak up on. I crawled to within 20 yards of the buck and doe. I didn't know how to play it after I got within range. I knew I was going to wait them out and let them stand on their own, but then what? I decided to sit at the ready and draw my bow when the deer stood up. I knew that they would see me but hoped that they would give me a half second to shoot. My cousin Chad had better luck on the ground than I did. 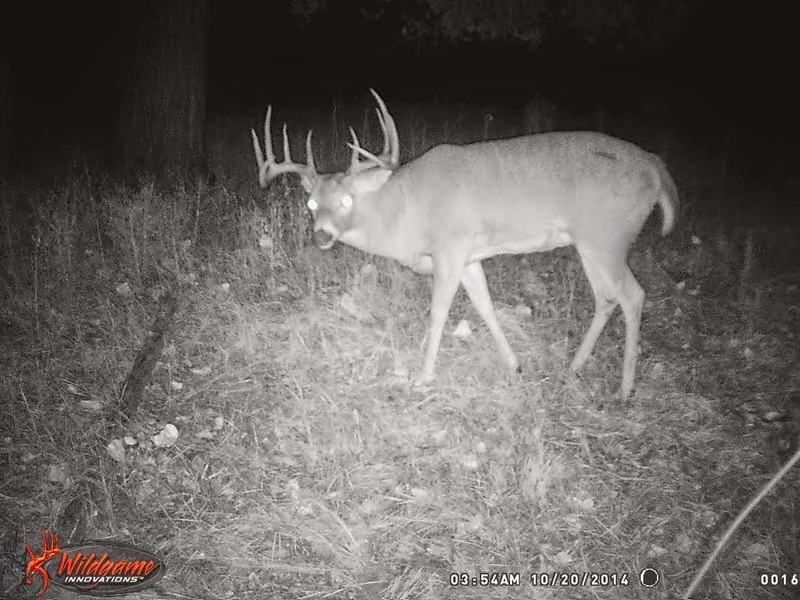 Chad spotted this buck bedded in a corn field. Luck was on Chad's side, and he was able to use combine tracks to silently crawl 15 yards from this deer. With day light fading Chad was worried the deer might not stand up. As if by divine intervention, in the middle of a huge field, another buck happened to walk right to Chad and the big deer. 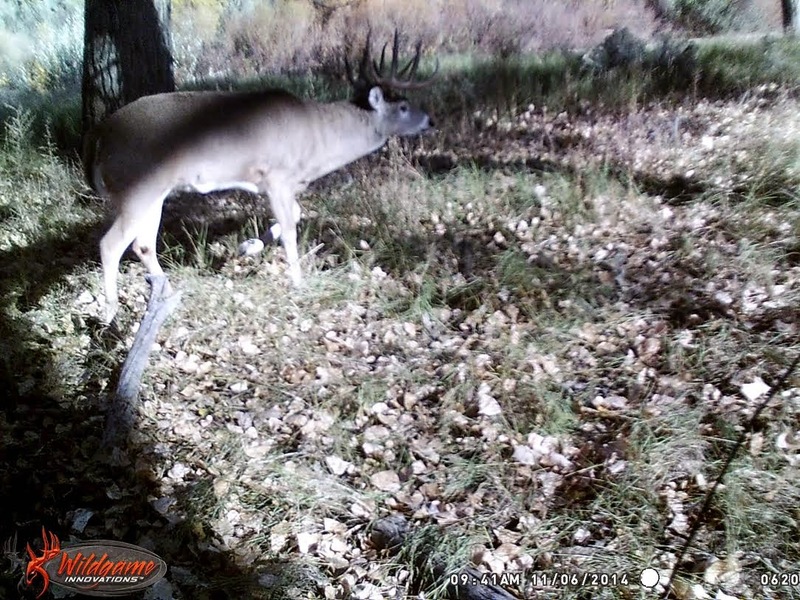 The big buck sprang to his feet and aggressively moved towards the smaller deer. Chad drew undetected and shot as the buck walked by less than five yards away. The deer ran 40 yards on a hard sprint before crashing into the corn field. Chad used a 55@28, 60" Chargin' Bull bow that he built and an adapted 160gr Cutthroat Broadhead. My brother's girlfriend Ashely got her first big game kill. She has been a dedicated shooter and bowhunter. She has put on more miles in the mountains than most men I know. Ashley made a great 25yard shot on this little doe, who only ran 20 yards before falling. Ashley's arrow buried into the far shoulder, which kept the doe from running very well. The amount of blood was impressive. Ashley's arrow pierced the deer's heart and both lungs. Ashley shoots a 55@28, 60" Rampart recurve. She was shooting the 200gr Cutthroat Broadhead. Danny had some good action but did not kill a deer. We've had some fun encounters with this ten point over the past few years. 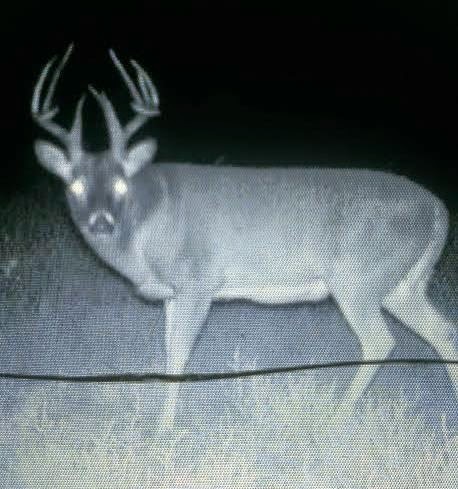 A hunting buddy and I both had him at ten yards last season, both times in the dark. Danny had him at 20 yards this year at 1pm. He was chasing a doe and would not stop in Danny's opening. He got a little smaller this year, but he's still an impressive deer. Danny also got to full draw on the buck below but never had an opening to shoot. We are all hoping to get some late season hunting in. Good luck to everybody who still has a tag!